Plot polar, cartesian, or parametric graphs. There’s no limit to how many expressions you can graph at one time - and you don’t even need to enter expressions in y= form! Find best-fit lines, parabolas, and more. Scale the axes independently or at the same time with the pinch of two fingers, or edit the window size manually to get the perfect window. Touch a curve to show maximums, minimums, and points of intersection. Tap the gray points of interest to see their coordinates. Hold and drag along a curve to see the coordinates change under your finger. 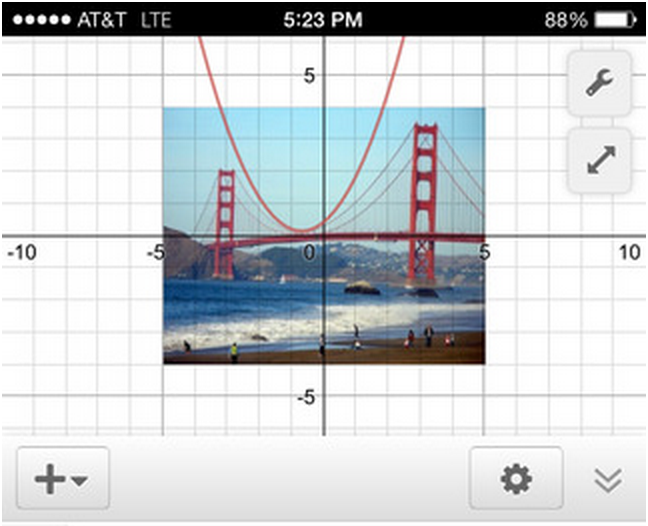 Just type in any equation you want to solve and Desmos will show you the answer. 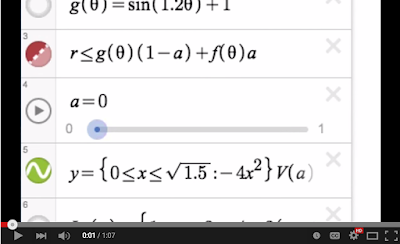 It can handle square roots, logs, absolute value, and more. Plot cartesian and polar inequalities"
Desmos is available on Apple Store, Google Play and on the Web.